We are proud to announce that 3L and Form and Accuracy Editor Michael Varrige will be published this spring! His Note will appear in Syracuse Law Review. Michael is a third-year student at Syracuse University College of Law and a Master of Forensic Science candidate at the Forensic & National Security Sciences Institute at Syracuse University. He completed his undergrad uate studies at the University of Wisconsin-Madison, where he obtained a B.S. in Genetics and Legal Studies with a Criminal Justice Certificate. 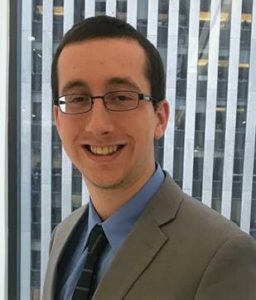 Michael currently serves as Form & Accuracy Editor for the Syracuse Law Review, a legal extern for the Honorable David E. Peebles, Chief Magistrate Judge for the United States District Court for the Northern District of New York, and an Academic Success Fellow at the College of Law. Michael has previous experience working at the Wisconsin State Crime Laboratory, the National LGBT Bar Association, the Burton Blatt Institute at Syracuse University, DLA Piper, and the Special Narcotics Prosecutor for the City of New York. Michael is excited to begin work this fall at the Appellate Division of the New York State Supreme Court, Fourth Judicial Department as an Assistant Appellate Court Attorney.